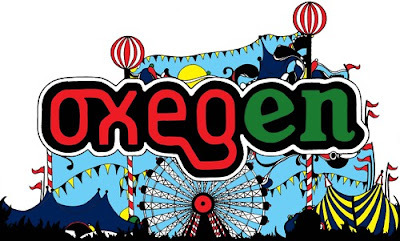 I went to Oxegen last year, full of excitement - that excitement didn't last however, as those 4 days were possibly the worst 4 days of my life (slight exaggeration). During my stay in the muddy fields of Oxegen, I learnt a lot of things about myself. For a start, I'm extremely claustrophobic - staying in a tent was bad enough, but with 2 other people it was a nightmare! My fear of insects worsened, as the whole insect world decided to house themselves in my tent above my sleeping bag. I also discovered my huge disliking of camping, I hated it! The whole dirty, messy, tent thing just did not go down well. Not only was the camping situation bad, drama also went down through the big group of us camping. It rained for days and it was just a messy weekend! It was an awful experience - apart from the music! The music was amazing, I saw a ton of my favourite bands and singers - Ellie Goulding, Mystery Jets, Kate Nash, 30 Seconds To Mars, Kids In Glass Houses, Florence And The Machine and more. Unfortunately, the camping just ruined my whole experience and I definitely would not do it again (unless I was staying in a B&B close to the festival). 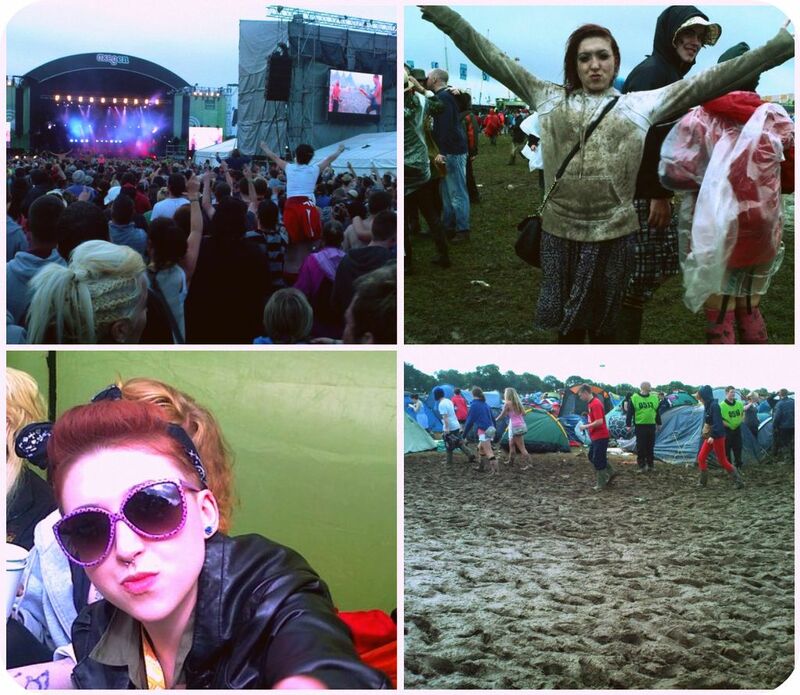 My Oxegen adventure last year - mud, muck, filth, dirt! Never again. Putting that aside, I know a ton of my readers are heading to Oxegen and many other festivals this year, so I've decided to start my own mini-series of festival tips and tricks! I'm being asked a ton of questions recently, regarding beauty and hair when it comes to going to festivals - what to pack, how to pack, what to even bring! I've narrowed my beauty and hair essentials down to a short list, a 'Top 10'. All of these are just suggestions however, and I personally found these products fantastic when I went last year! 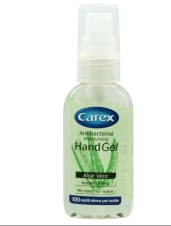 The most important item for anyone to bring to a festival is anti-bacterial hand sanitizer or wipes. Festivals are filthy places, drowned in germs and you want to try and avoid those germs where possible! Whether you're taking the nasty trip to a portaloo or going to apply your makeup with your fingers - you need hand sanitizer! Pick up 2 bottles, one for your tent, one for your bag and apply frequently. I'd suggest buying a moisturising one also, as some gels can be quite drying! Baby wipes are another essential for festivals, these are your shower, cleaning tool and makeup remover for the duration of your stay. Wash morning and night all over with as many wipes as you want, and you'll be as fresh as a daisy (well, nearly!). Baby wipes are also fantastic at removing makeup so they save you packing another packet or bottle. 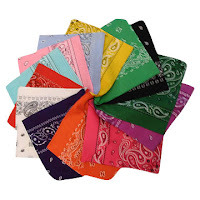 They also come in handy if you have a spill in your tent or it becomes to mucky to bear. Look out for value packs of 2 and use whatever brand you wish! I'm sure every festival-goer knows this product, as it's famous for being a treat to use at festivals! Batiste dry shampoo is a lifesaver, or any dry shampoo for that matter. Dry shampoo soaks up any oil you have in your roots, and adds extra volume and bounce to your tresses. 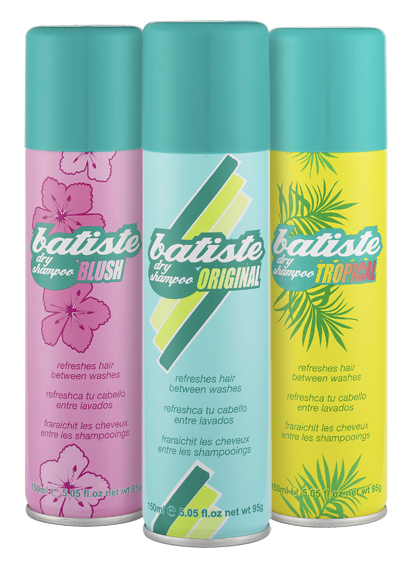 Batiste is my personal favourite, and it comes in a variety of scents and sizes! It's relatively cheap and is a must! It will most likely rain at Oxegen especially, but you need to be prepared for all types of weather! I recommend bringing a moisturiser with you that contains an SPF, or even a suncream. 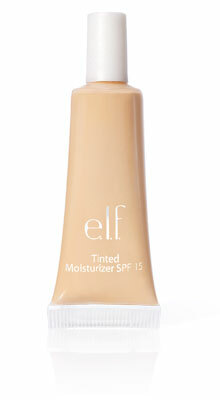 If you don't want to bother wearing foundation, you should invest in a tinted moisturiser with an SPF, such as e.l.f's one for only around £2. This will even out your skin tone, while also moisturising your skin and protecting it from the sun! To hide any blemishes or dark circles, you need to bring a trustworthy concealer! Collection 2000's Lasting Perfection concealer is a dream and it's a bargain at only €6 in any Boots! It covers up any terrors on your face and you can also swipe it under your eyebrows if you want to conceal any stray hairs, it's ideal for a festival. The last thing you want, is to be packing lipsticks and blushers with you, as you'll most likely lose/break them! For a multipurpose approach, pack a tint! Tints add a beautiful flush of red to your lips and cheeks and add a glow to any fresh face! 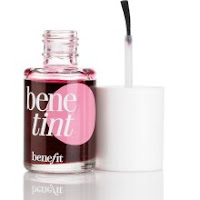 Benetint from Benefit is a personal favourite, and if you were lucky enough to pick up a sample size from June's Glamour magazine, it'd be perfect to pack! If you want a cheaper alternative, The Body Shop also do great ones. On the 3rd day of my stay last year at Oxegen, I washed my hair. I brought a 2 litre bottle of water with me, knelt on the grass, tipped my head over and gave my hair a good scrub. I couldn't bear the thought of having greasy hair and mine is so fine, it turns greasy so quick! I brought along a sachet of shampoo I got out of a magazine, as it was handy to pack. 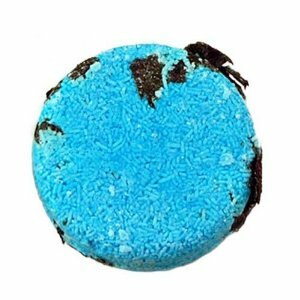 You could bring any hotel shampoos with you either, or you could pick up a solid shampoo bar from Lush. I use Seanik, and it's absolutely incredible for your hair. You and some friends could share one bar between yous over the stay, and having glistening hair throughout! To hide greasy or messy hair, I'd highly recommend that you bring a bandana or headscarf with you. I wore one religiously last year, and it looked chic, while also hiding my messy hair! You can wear them in many different ways, and I'd suggest bringing one in a colour that would match all of your outfits (black, white etc). 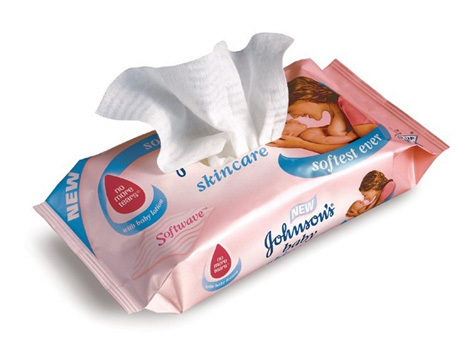 My final festival beauty essential, would most definitely by a waterproof mascara. I didn't bother with eyeshadows last year, and I got away with just wearing my waterproof The Falsies (Maybelline) mascara for the 4 days, as it adds enough drama to your eyes alone! Obviously choose a waterproof mascara, because it will most likely rain and who wants to look like a panda? I mention a few more essentials in my video below (which is now in HD, yay!) and if you guys have any suggestions - leave them in a comment below!